Home Technology Can Virtual Reality Help Stop Sexual Harassment in the Workplace? Can Virtual Reality Help Stop Sexual Harassment in the Workplace? I’m a silent presence inside a tidy office, observing as one woman and two men work into the evening. The boss enters the room and he’s quickly impressed with the woman’s work. There’s something in the way he’s behaving, though, that’s unsettling. He mentions wanting to take her on an upcoming trip to New York. She says that she can stay with her sister, but he answers that this won’t be feasible. Meanwhile, covertly sent texts pop up on my phone. Apparently, I’m not the only one who thinks there’s something strange about this exchange—but how do we respond? This isn’t your typical anti-sexual harassment training session. It’s Vantage Point, an immersive approach to teaching people how to identify and respond to sexual harassment in the workplace. 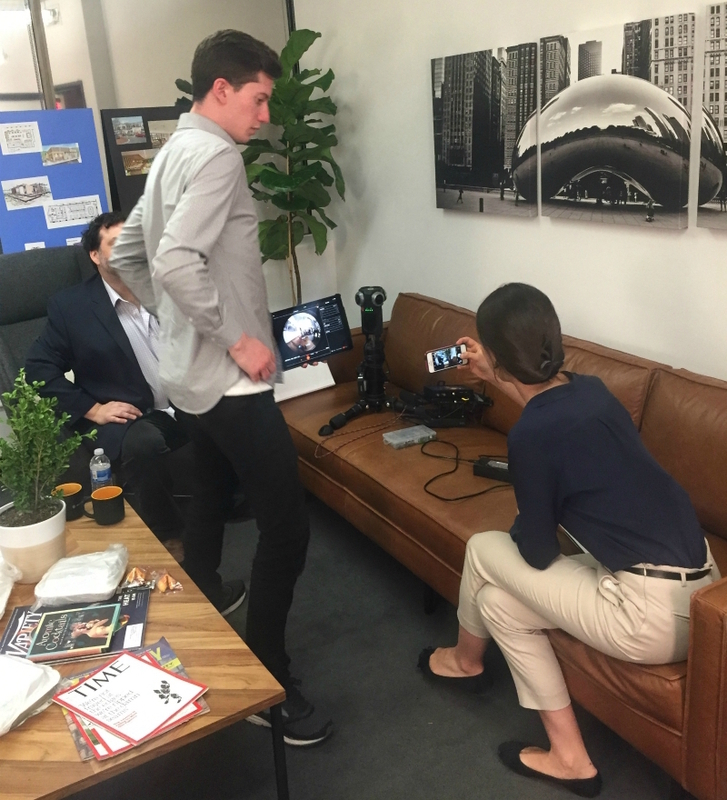 Unlike videos, Vantage Point—a 360-degree virtual reality experience—thrusts the user into the middle of a scenario, essentially pop quizzing them on whether or not they can recognize harassment as it unfolds, as well as how they, even as a bystander, would handle the situation. Morgan Mercer, a two-time survivor of sexual violence, conceived of Vantage Point after a conversation about responses to gender-based violence. “It’s almost a failure in society because we’re not really educating people on how to be supportive community members,” she says. 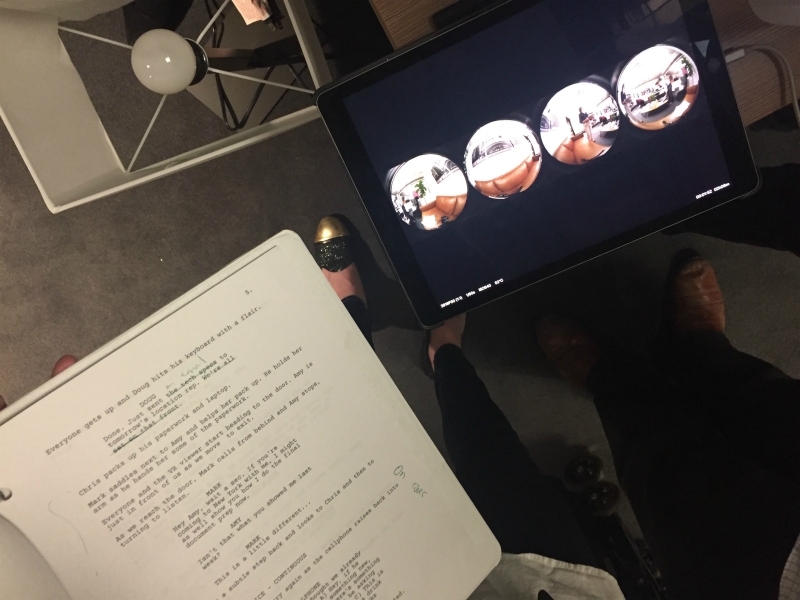 Mercer could see that virtual reality has the potential to helping people learn to empathize with one another. Moreover, Mercer saw VR as a space where people could confront their own biases. She spent a few weeks teaching herself how to code, got to know people in related industries, and moved to Los Angeles to get Vantage Point off the ground. The team worked with both experts in the field as well as survivors of sexual violence in the making of Vantage Point. If there’s one thing the #MeToo movement has revealed, it’s that, in general, people still have a lot to learn about sexual harassment and assault. How do you recognize warning signs before a situation escalates? How can you be an ally to friends and colleagues? Making Vantage Point has been a learning experience for those working on the project as well. In Vantage Point, there are no easy answers. You might automatically know not to select an answer that shames or blames the victim, but do you pick the answer where you intervene or the one where you lend support regardless of how the victim decides to respond? At present, Vantage Point is geared towards sexual harassment in corporate office environments. What you see isn’t necessarily the kind of situation that might play out in a restaurant or on a film set. However, Mercer indicates that this is just the beginning of what’s in store for Vantage Point. There are plans to eventually expand into modules that address other industries.